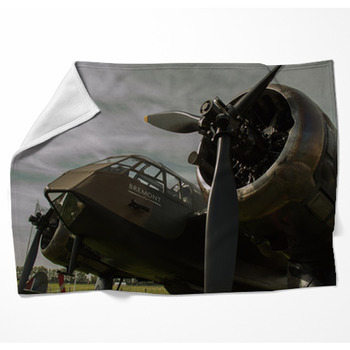 Get comfortable in the past with a World War Two airplane on a custom throw blanket. 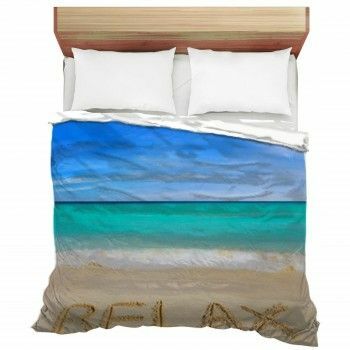 Had enough of the 21st Century? 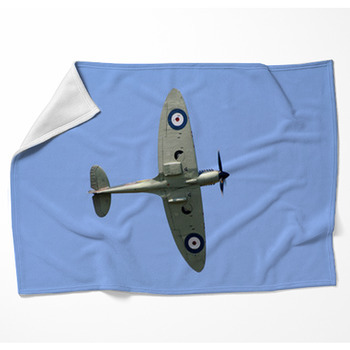 Care to get back to the good old days and relive the thrill of climbing into the cockpit of a Spitfire ? 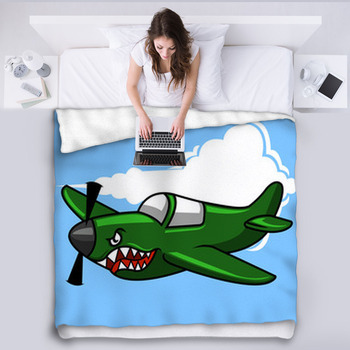 Or maybe you're a flying enthusiast and ready to get wrapped up in the belly of a shark stalking the skies in a Warhawk. Whether you're recalling the glories of younger years or celebrating the take off of flight, these World War Two airplane blankets will take you to the wild blue yonder. 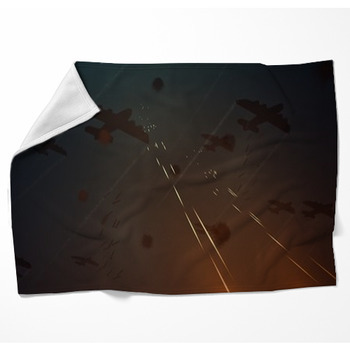 Call it a day with the folded wings of a Corsair on your bed blanket. 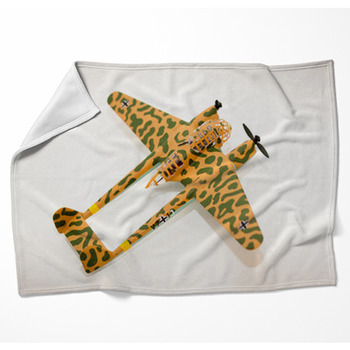 Bring a racing flag to a Thunderbolt and wrap it around your shoulders. 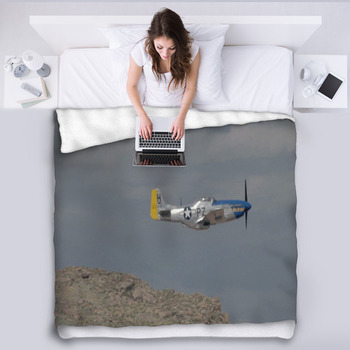 Angle a B-17 just right in brilliant blue skies and fire its engines on a custom fleece blanket. 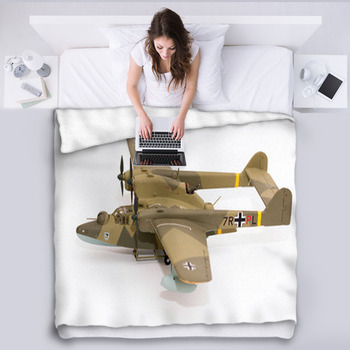 Or get under the reflective skin of a B-29. 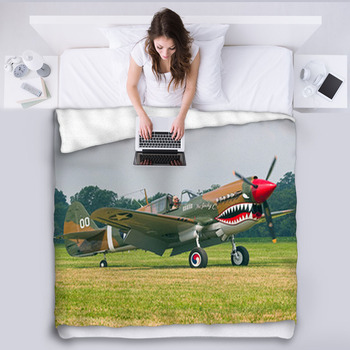 Put the empty socket of a grinning skull in the eye of a Hurricane or the jaws of a Warhawk on a grassy field and bring the airplanes of World War Twos top guns to your décor on custom blankets. Get in the saddle of a Mustang for one last ride. Swirl wispy white clouds in dramatic gray skies behind a Super fortress on the ground. 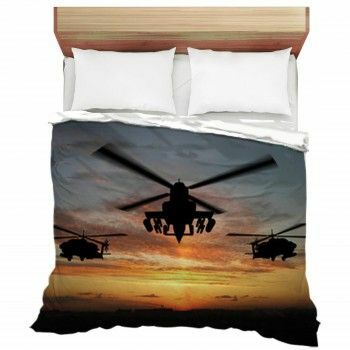 From Lavochkins to Polikarpovs, the greats of World War Two are ready to land on your bed. 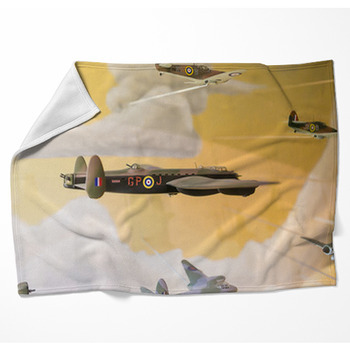 So bring back the Tiger Moths and Flying Fortresses and take to the skies of World War Two, blanketed with its fighters and bombers giving you perfect cover.